Amazon is the world’s best business and Jeff Bezos is the top CEO. His $120 billion net worth is an eloquent testament to his arrival at the top of the heap. But Bezos is never satisfied — in fact, a look at his Day 1 philosophy reveals that he keeps asking the same questions every day as if it was Amazon’s first. The reason for his wealth is that Amazon — which for years has been growing at over 20% a year — is not slowing down. Instead, its growth rate is accelerating. Its fourth-quarter revenue surged 38% to $60.5 billion, which beat analysts’ expectations of $59.83 billion. Amazon’s profit more than doubled to $1.9 billion — a figure that included a $789 million tax benefit, according to the Wall Street Journal. Amazon expects to keep growing in the current quarter, forecasting first-quarter sales between $47.75 billion and $50.75 billion, which would be up between 34% and 42%, respectively. Amazon projects first-quarter operating income between $300 million and $1 billion. In 2017’s first quarter, it reported $1 billion in operating income, according to the Journal. The three reasons I think Amazon is the world’s best business could be a prescription to improve any organization. Competitive advantage is measured by market share leadership which flows from three sources. When people buy things, they compare different suppliers on a ranked set of factors. For Amazon customers those factors, or customer purchase criteria (CPC), include price, fast delivery and reliable service. Consumers choose Amazon because it does better than its competition on these CPC. Winning and keeping customers — especially when a company has millions of them — depends on doing certain things well. For Amazon, such capabilities include offering a wide selection of products and services, operating an efficient supply chain to fulfill orders; and providing excellent customer service. While many large companies can do the first two things in one industry — think Apple in smart phones — very few can stay ahead as competitors try to copy their strategies and make successful bets on new growth opportunities. Amazon did this first in online book selling and has continued to lead — it controls about 40% of the U.S. e-commerce market; its Echo devices have about 75% of the smart-speaker market; it runs a major Hollywood studio; and its Amazon Web Services (AWS) unit leads with over 40% of the cloud computing market, according to the Journal. Competitive advantage does not simply happen — CEOs must create it. And as I highlight in my book, Disciplined Growth Strategies, our system of capitalism does a superb job of rewarding CEOs who excel at it. Specifically, the CEOs with the highest net worth tend to be founders of the largest, fastest-growing companies — people like Amazon’s Bezos, Facebook’s Mark Zuckerberg and Alphabet’s Sergei Brin and Larry Page. Apple — which at $861 billion has a higher market capitalization than Amazon’s $670 billion — suffers because it is so dependent on an 11-year-old product: the iPhone. Apple CEO Tim Cook is not a founder, though he has squeezed a significant amount of profit from the iPhone and is trying to add services revenues. The company’s relatively tepid stock price performance (its shares are up 30 percent in the last year compared to Amazon’s 65 percent) is the result. What makes Amazon the world’s best business and Mr. Bezos its top CEO is his exceptional skill at turning bets on growth into wide new revenue streams. Some of those bets are paying off now — others have potential to do so in the future. Amazon created Amazon Web Services (AWS) by selling to companies the computing services it started building in 2000 to run its e-commerce operations. Today AWS is growing fast, with Q1 revenues up 45% to $5.11 billion. Its operating income rose about 46% to $1.35 billion, according to the Journal. Growth can come from well-managed acquisitions as well. For example, its $13.5 billion acquisition of Whole Foods generated $4.52 billion in revenue, representing about 7% of Amazon’s revenue — a considerable increase over the $3.5 billion Whole Foods reported in the same period last year, according to the Journal. 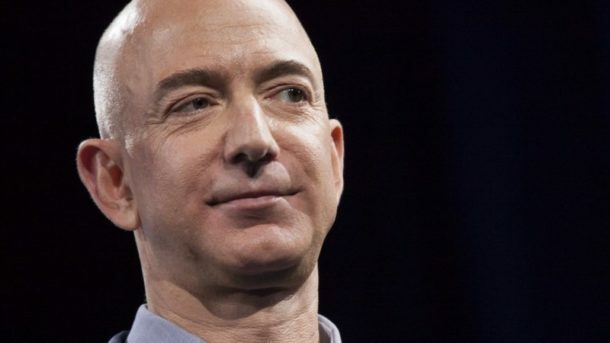 And after months of speculation, Amazon announced its health care play — a venture with JPMorgan Chase and Berkshire Hathaway to lower health care costs. It remains to be seen how this venture will achieve lower health care costs or whether these very different companies can work together effectively. But one thing that makes Amazon so much better than its Facebook, Apple, Netflix, and Google (FANG) peers is that it not only makes other bets, it makes them pay off. To wit, Alphabet still gets nearly all its profit from its advertising business. All its other bets — such as self-driving cars and cybersecurity — seem perpetually unable to add to its top line. Amazon’s success forms the basis for three questions that every leader should ask: Does my organization have a sustainable competitive advantage? Do I excel at coming up with winning ways to grow my organization? Do my bets on growth add meaningful new revenue streams? If you can answer yes to each, you are on your way to greater success.